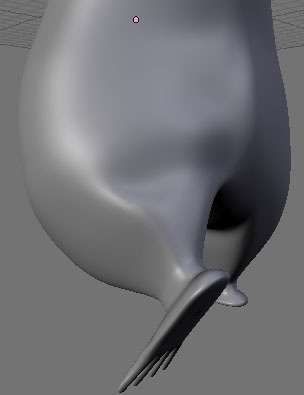 How can I get better deformations with this character? I’m using vertex groups with weight painting, no envelopes. Here’s some pictures of the character, and a quick pose to show the problems with the deformation. Any help would be immensely appreciated! Welcome to the wonderful world of rigging and unsightly mesh deformations. Take a look at the thread on Bone Roll Angles in my sig. I am by no means an expert, but it will get you started. There’s a link to jbousa’s blen-rig, which is very complex and lifelike. Also look for threads by alvaro and blackboe, who have done a lot of rigging experimentation and work. In addition, download mancandy and Calvin’s Sad Bob and check out how they are rigged. Make sure the armature modifer is FIRST. For that character I´d recommend downloading the latest SVN from www.graphicall.org and applying the ARMATURE modifier with the new QUATERNION option enabled. That will give you a lot more flexibility when it comes to deformation. For what I can see in the pictures you´ve attached, the main problem with your rigging is that you didn´t weight paint the character in a ´´gradual´´ manner. 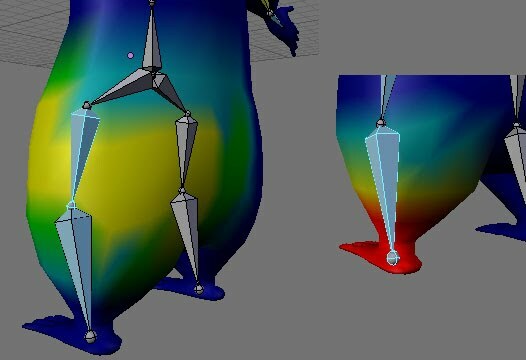 You have to weight paint better transitions between bones, not just paint it all RED. Start with RED in the main areas and go lowering to yellow, green, and blue as you come closer to the next bone. The weights between neighboring bones are usually overlapped. First, you have to animate the rig and and make it move through the basic poses that you want your character to be able to do. Once you have the key poses, start weight painting, and very patiently assign proper weights in order to achieve the best deformation in the current pose. I think you´ll do fine with the QUATERNION option enabled, as it keeps volume and partially prevents shrinking. You can always check my stretchy bones method by downloading BlenRig at www.jpbouza.com.ar. But I think you´ll do just fine if you use QUATERNION and you weight paint the character patiently. Oh, I forgot, if you download BlenRig´s Manual, there you´ll find a nice example on how to weight paint the character´s joints in order to get good results. Wow, that improved his arms and head a lot! 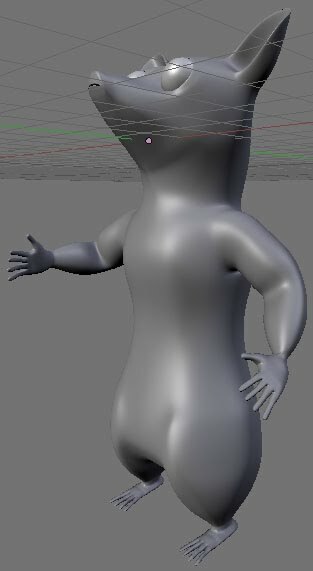 I had Subsurf first, which I now realize is not good when working with armatures. Looks like I’ve got some studying to do. I wonder if any of those will help with my character though, the legs in particular. They’re oddly shaped and I’m really having difficulty getting those to deform right. Hey, that’s much much better. Beware, today I found a bug using Quaternion, some bad deformation that occurs when the armature is rotated in certain angles. Anyway, I’m not entirely sure, but I think it happens when you use bones with Stretch To constraint, so it may not affect you. Well, I’m glad your rig is getting better. If you want to achieve a more realistic deformation you may try using BlenRig’s approach with stretchy bones (this is the way I like), or using bone driven Shapekeys. Here’s a link for some Shapekey deformation tutorial. Yeah! now looks better. i also want to thanks Calvin - u don’t realise how many time did i spend trying to fix ugly deformations in my character…and bring armature to first place solve problem… THANKS! First of all, I think that you should rig the model with a higher polycount. Keeping the model low in polygons may help you with the viewport performance, but I think that you could perfectly rig that character with a level 1 of subsurf applied to it. That will give much more control over deformation. So, I would add a Subsurf modifier, and apply it. Then I would go to sculpt mode and correct some topology issues, and I would smooth certain parts of the model in order to avoid geometry artifacts (the eyes, the hip, specially in the belly). Having done that, you should go further with the weight painting, and if shapekeys aren’t good for you, try BlenRig’s approach and add some stretchy bones to the front, back and side of the Hip, that should help with the deformation.